Real Escapes is pleased to offer the Pineapple Cottage. The pineapple has served as a symbol of hospitality, warm welcome, and good cheer for many years, and this Cottage is appropriately named! 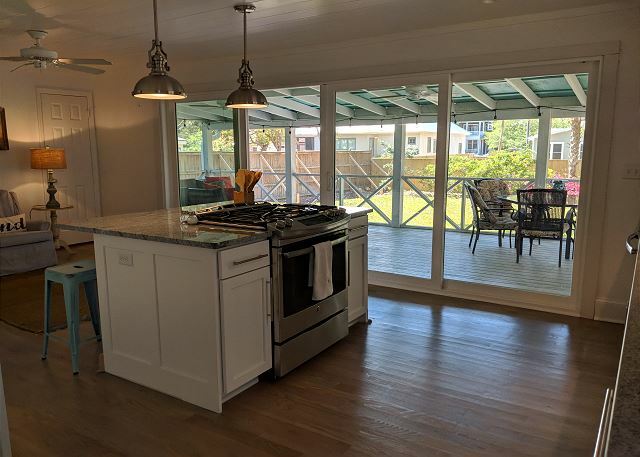 The single level home is comprised of two bedrooms, two baths, living room, dining area, fully stocked kitchen with a work station and family room. 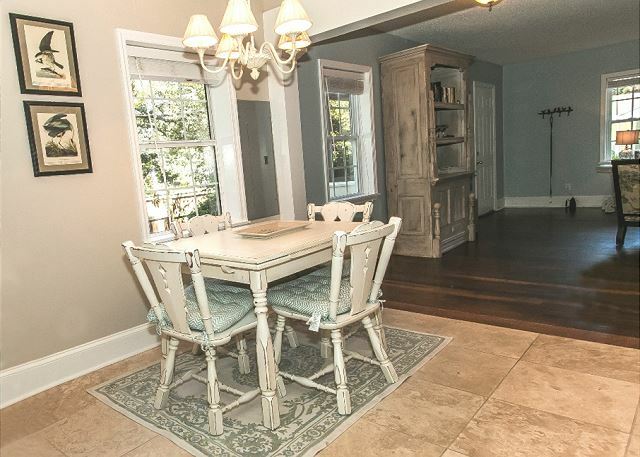 The flooring consists of hardwood and tile throughout. There are 3 TVs as well as wireless internet access. 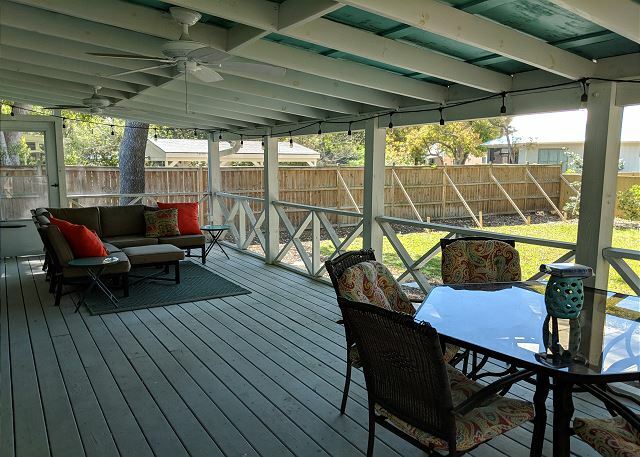 The home features a large screened porch, with ceiling fans, that extends across the entire back of the house. It overlooks the expansive backyard creating a serene place to relax. The home is equipped with a washer and dryer as well as a gas grill. It is located just short of a mile from tidal beaches, popular shops, a variety of restaurants, and the village/pier. 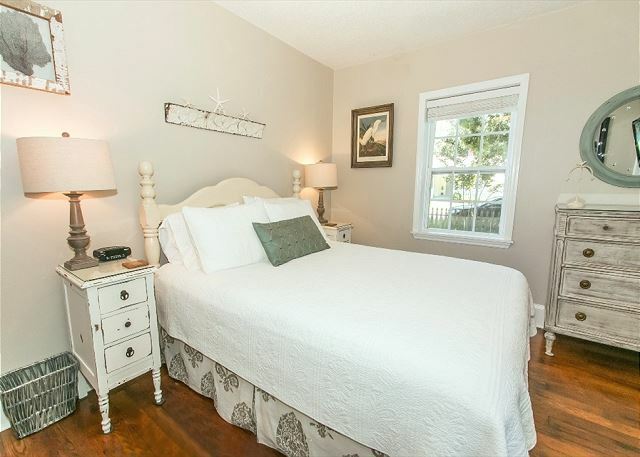 The cottage is a "dog-friendly" property and has a maximum occupancy of 4. Fenced in yard. Love this little house. Nice quiet neighborhood, close to the village. 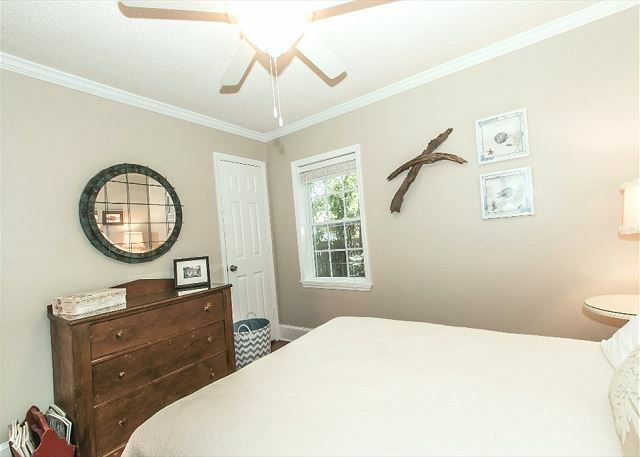 The bed in the guest bedroom isn’t the best but the house is clean and well stocked for a comfortable stay. This is my third year renting this house and I love it more each year. 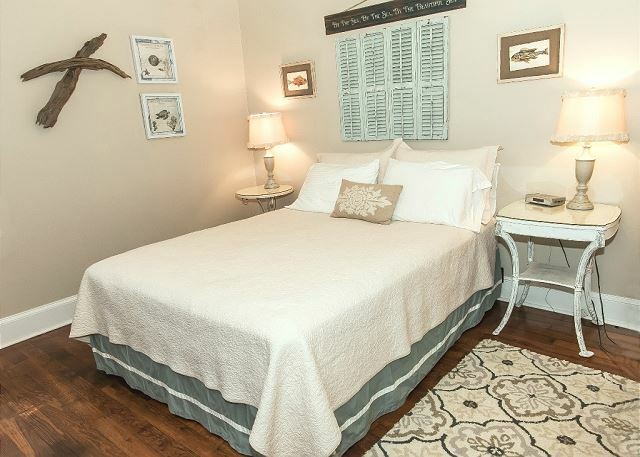 It is well maintained and very clean and comfortable. 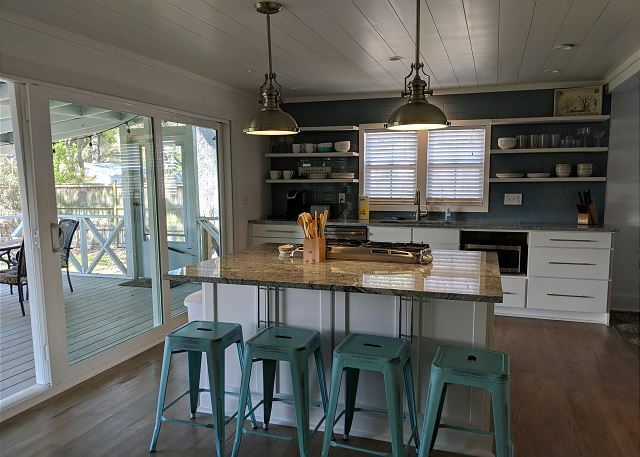 Being close to the village and the beaches is important and it is easy to find good food if I don’t feel like cooking in this gorgeous kitchen. The property managers are friendly and responsive. After initial arrival at 4:20 pm on September 16th to find house had not been cleaned and we had to leave for property management to get a crew into clean up, our stay was peaceful and enjoyable. The cleaning crew cleaned bathrooms and made beds, 1 hour approximately. We recommend the home be given a thorough cleaning in near future...sweep up debris in floor, could use a good mopping, dusting, especially ceiling fans...appliances could use good exterior cleanup... Cushions on porch furniture smells badly from the dampness it's exposed to. Can vers on indoor furniture need a good washing. 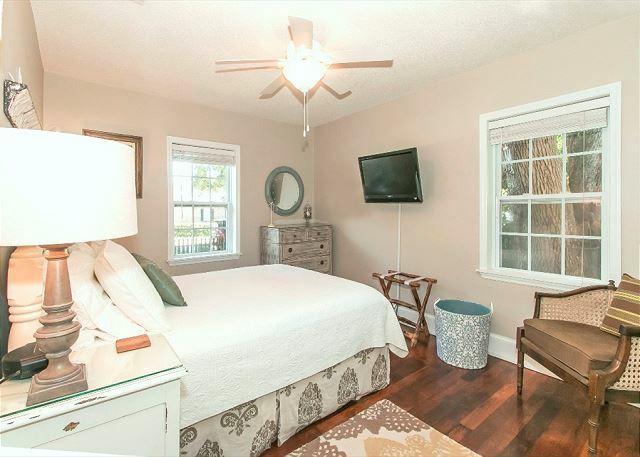 Never stayed in a house on vacation that was super clean so this one would get a 7 out of 10. Loved the house n yard. Didn't enjoy lawn mower company interrupting my much awaited nap at 2 pm on Wednesday afternoon. But, the yard is beautiful. Wonderful, charming cottage. Very quick response to non functioning water heater. Beautiful, quiet neighborhood. 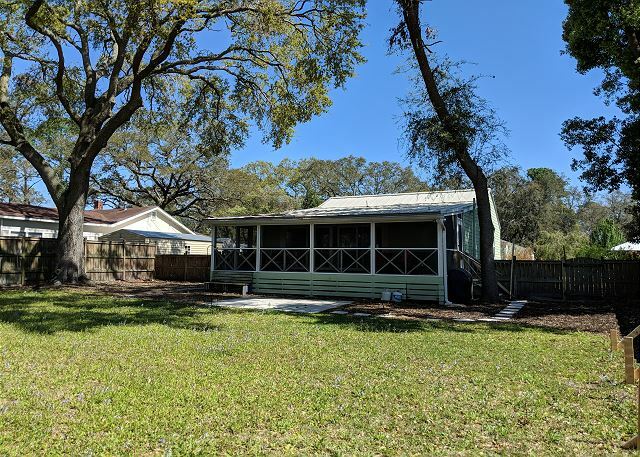 The back yard is great for pets with lovely old oaks for shade.Kitchen has everything. 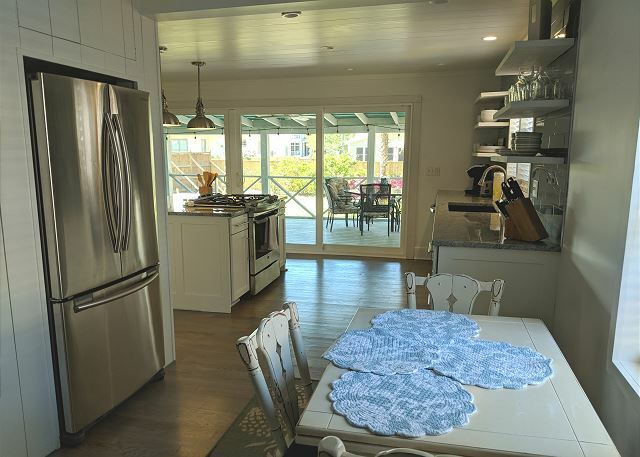 Pineapple Cottage is one of the best vacation rentals we've stayed in. We had another great vacation on the Island. 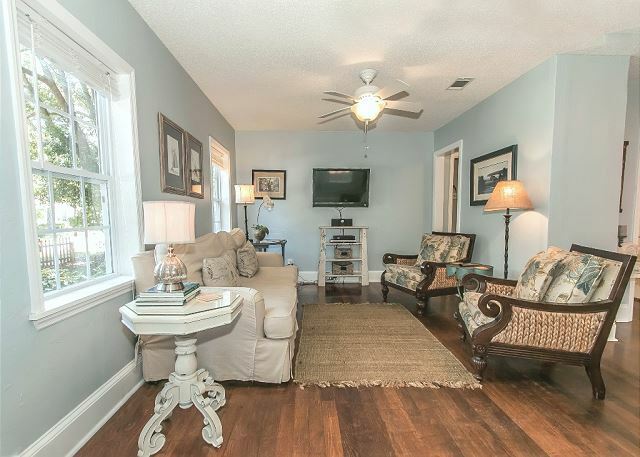 The house was very nice and well equipped, great screened porches and fenced in yard. Cannot wait until next years visit. This is the best home we have stayed in since we have been coming to St Simons! The yard is wonderful, open, flat, quiet. The indoor space is calm and relaxing with very high quality craftsmanship in all living spaces. WE have stayed at several houses on the island but this was, by far, the best experience we have had to date! We have already reserved the cottage for next year... can't wait! Very nice house. Love the screen porch. Nice kitchen renovation. Easy walk to the 2nd year renting.love this place!! Love this cottage. 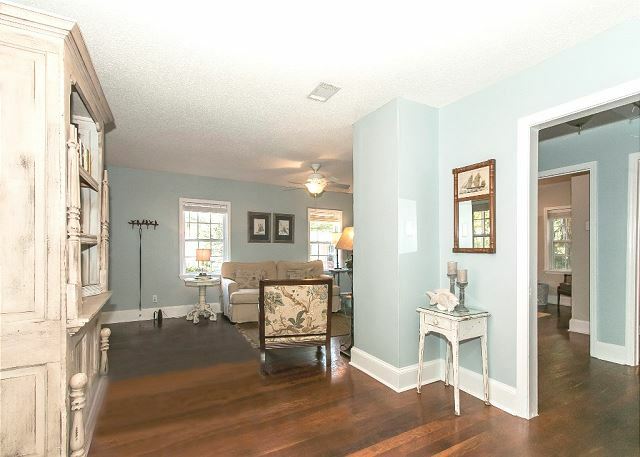 It is comfortable with the two porches and a nice big yard. The neighborhood is peaceful and friendly with the perfect distance to the village and beach. 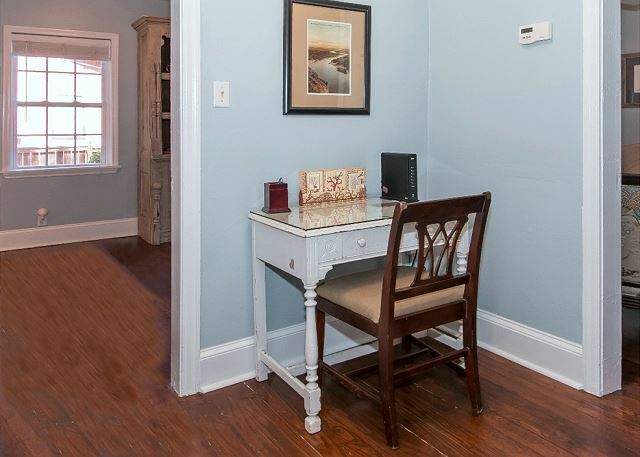 This cottage is well appointed and maintained. Love the screened porches, both front and back. 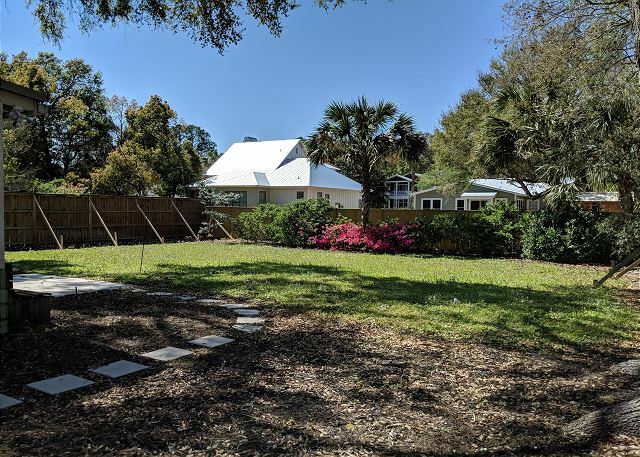 The neighborhood is peace and friendly with nice large yards and we are just under a mile from the pier village. I am already looking forward to returning next winter. This is my second year staying in this charming cottage. It is clean and comfortable. 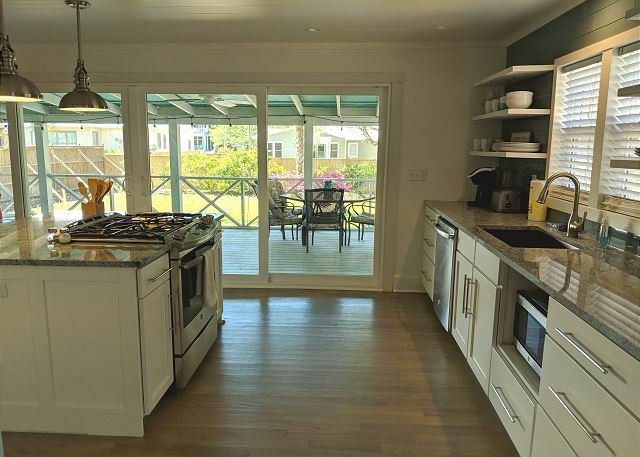 The updated kitchen as well as the front and back porches are terrific. I love the location and the nice big lot. I will stay again. The house was an older house that had been updated. The kitchen was probably one of the best stocked kitchens we have ever seen. Everything worked and the backyard was perfect for our two dogs. Back porch is enclosed and great for meals or lounging. 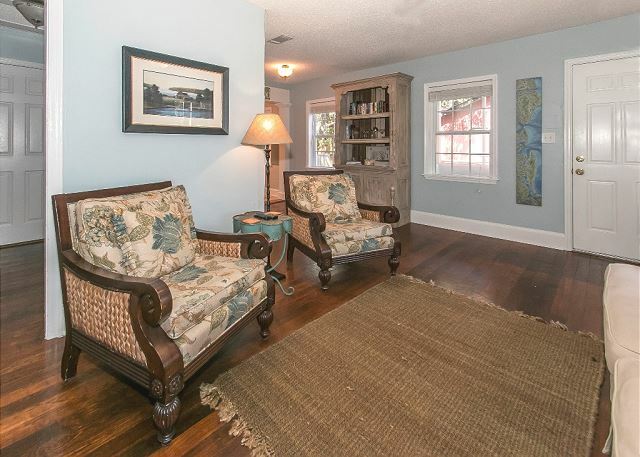 The house is within an easy walking distance to the pier and shops. I would definitely stay here again. had a wonderful time. loved the porches. easy walking to village . Most comfortable and convenient stay in ten years of annual vacations. Property management makes the entire experience easy.